As you know we are a Lego loving family so we are always eager to share Lego related events and products with you. We also love helping local charities any way we can. So this post is an extra special one because it combines these two loves! Celebricktion is a can't miss event! During this fundraising event visitors can view the huge Lego city made out of over one million Lego pieces featuring parks, 12-foot plus high skyscrapers, streets and even a parade containing thousands of Lego mini figures. This amazing display took over a year to build and hopefully one day will travel across the country. The city was built by Harry and Austin Nijenkamp a father and son team and everything was "free built" (meaning no plans or drawings). Harry uniquely designed the Celebricktion display to have the capacity to be safely moved from one location to another. This mobility had to be kept in mind before laying the first brick and during the entire creative, building process....all finished without any glue to provide structural stability and portability. People from all over attend Celebricktion events to witness Harry and Austin's impressive displays. Celebricktion tickets are $10 per person. The event will take place on DECEMBER 20-22, 2014; 9:00 a.m. - 6:00 p.m. at the High Meadows School, Community Center in Roswell. ALL proceeds go towards an amazing charity called The Drake House. The Drake House provides short-term crisis housing, education and empowerment programs for homeless mothers and their children in North Fulton County. - Various creations by other metro-Atlanta, Lego enthusiasts. And guess what? The Balman family will be attending and will have have some of our Lego creations on display. Stop by our table to say hello! We hope to see you there. 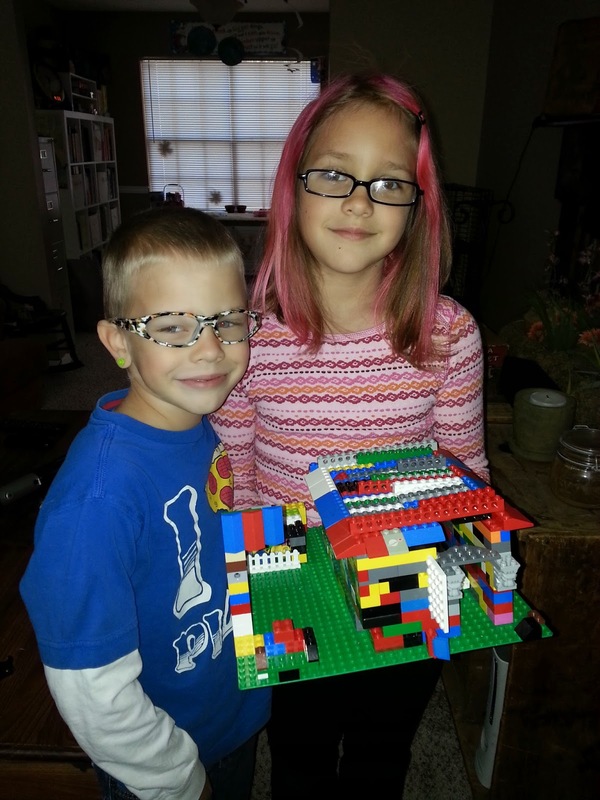 My kids with one of their many Lego creations! Follow Celebricktion on Facebook and Twitter.